Before there were pink-eared knit protest caps, before a record number of women raised their hands to run for office, there was Hillary Rodham Clinton. For 19 months, starting with Clinton's declaration of her candidacy for president, women and girls dared to believe that experience, hard work, and homework would trump gender -- could trump gender -- and put a woman in the White House, at last. This is the insider's study of those heady, hard days told through the lens of the photographer always at Clinton's side and the words of those who pulled with her. This is an intimate portrait of one of the most resilient and inspirational leaders in American history. Renowned photojournalist Barbara Kinney was entrusted by Sec. Clinton personally with rare and exclusive access to document her historic campaign for president. This book is presented for those who were inspired by her, those who carry forward her life's work in the mass activism we've witnessed since 2016, and those who will someday celebrate the obliteration of all glass ceilings by looking back at one of the most persistent and resilient champions of that cause. 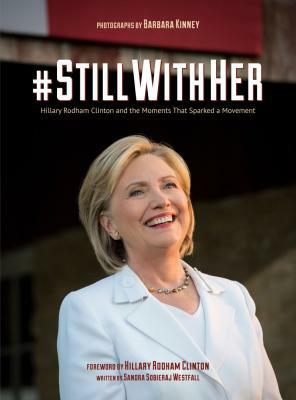 Intimate, moving, and visually stunning, #StillWithHer contains many never-before-seen photographs and the stories behind them.